Art Gallery Tours: Overwhelmed by the number of galleries in Chelsea? 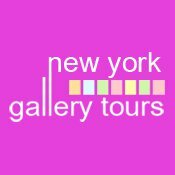 Let the New York Gallery tour point out some of the best galleries in the area. The selection of galleries frequently changes, so check the website for tour information. Private tours of other art-laden neighborhoods are also available.